between Schwann cells or oligodendrocytes interrupt the sheath (see fig. 10.3). At these nodes, the axon membrane contains channels for sodium and potassium ions that open during a threshold depolarization. When a myelinated axon is stimulated to threshold, an action potential occurs at the trigger zone. This causes an electric current to flow away from the trigger zone through the cytoplasm of the axon. As this local current reaches the first node, it stimulates the membrane to its threshold level, and an action potential occurs there, sending an electric current to the next node. Consequently, a nerve impulse traveling along a myelinated axon involves action potentials occurring only at the nodes. Because the action potentials appear to jump from node to node, this type of impulse conduction is called saltatory conduction. Conduction on myelinated axons is many times faster than conduction on unmyelinated axons (fig. 10.16). The speed of nerve impulse conduction is also determined by the diameter of the axon—the greater the diameter, the faster the impulse. For example, an impulse on a thick, myelinated axon, such as that of a motor neuron associated with a skeletal muscle, might travel 120 meters per second, whereas an impulse on a thin, unmyelinated axon, such as that of a sensory neuron associated with the skin, might move only 0.5 meter per second. 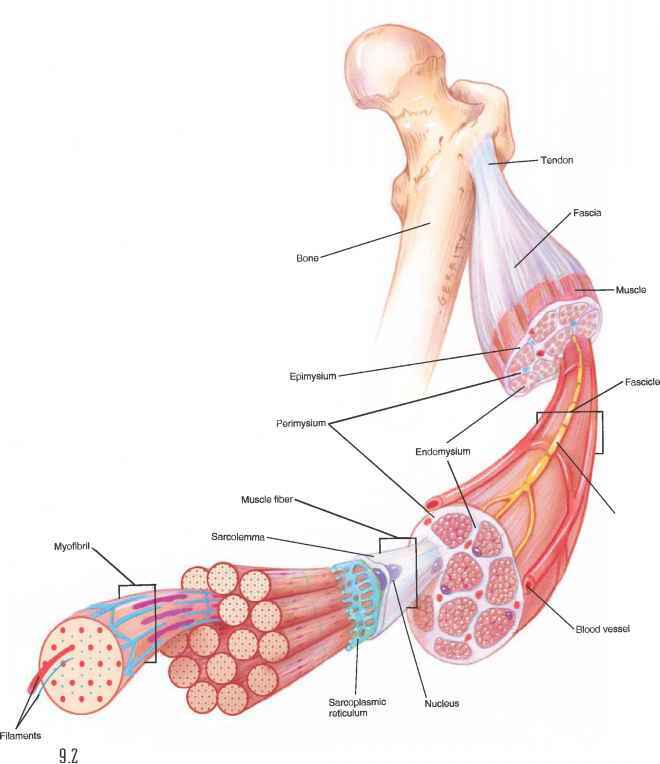 Clinical Application 10.3 discusses factors that influence nerve impulse conduction. 99 Summarize how a resting potential is achieved. ^9 Explain how a polarized axon responds to stimulation. ^9 List the major events that occur during an action potential. Explain how impulse conduction differs in myelinated and unmyelinated axons.